For him – sewing projects for the man in your life or for yourself. 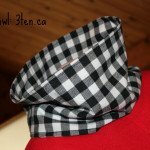 It can be a challenge to find easy how-to sewing tutorials for the men, so I like to do a few each year – check out the items below for some inspiration and tips and tricks. For him – below are some of my favourite sewing tutorials for the man in your life – they are easy and useful. I think the best one is the dopp kit, which Bryce uses every day for work and takes it travelling, too. Although my for her section is much for full (for some reason it’s easier to make items for women or girls, maybe not easier, yet more options) the for him section is full of quality items. The woodworking apron is such a piece of art all on it’s own. You could adapt it for gardening, or even everyday home maintenance. Oh, and my brother-in-law loves his neck cowl, one of the very first items I made for him – it’s kind of awesome to know he likes it so much. So, sew up for the him in your family and they will be impressed with your talent and effort. All in all, these items make great gifts or are special for those ‘just because’ moments, too. Happy sewing and be sure to share your projects with me, too – I love seeing what other’s create.